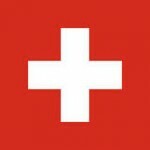 Just hours after we posted a story about Swiss bankers and US officials completing a deal to allow Swiss banks to avoid prosecution by turning over information about US taxpayers with unreported Swiss accounts comes news from Rahn & Bodmer, a Swiss private bank, that they are under investigation by the U.S. Department of Justice. Rahn & Bodmer is an old line Swiss bank based in Switzerland. It traces its origins back to the 1700’s. Earlier this year the US Department of Justice prosecuted another venerable Swiss bank, Wegelin & Company. That bank closed shortly after pleading guilty to charges that it helped Americans avoid taxes by opening bank accounts in Switzerland. Opening a foreign account is not illegal but having unreported Swiss accounts (or unreported accounts in any foreign country) is illegal. If intentionally not reported, it can be a felony punishable by 5 years in prison. U.S. law requires taxpayers holding more than $10,000 in foreign financial assets (bank accounts, annuities, stock accounts, life insurance with cash value) to disclose those assets annually on a Report of Foreign Bank and Financial Accounts (or FBAR). Although very few people have been criminally prosecuted for having unreported Swiss accounts, the IRS routinely assesses huge civil penalties. How big? The usual penalty is the greater of $100,000 or 50% of the highest account balance over the last 8 years! The IRS is offering an amnesty program for people with unreported Swiss accounts but eligibility is closed once Rahn & Bodmer turns over the names of their account holders. In prior deals, the IRS has required banks to turn over the names of people who transferred or closed accounts in advance of the investigation. There are options for people with accounts at Rahn & Bodmer and other offshore banks. Often we can negotiate penalties with the IRS and opt out of amnesty. As noted above, options are much more limited once the bank turns over its records. If you opened a foreign account within the last year, simply find a good CPA or tax preparer specializing in foreign reporting. You need only file an FBAR and also report the account on Schedule B of your tax return. Some folks will also need to file a FATCA form (IRS form 8938).